Here at Brain Damage we always welcome reader contributions. As we've said many times, this site would be nothing without you, the reader - and those of you who have, or who want to, submit their own thoughts and even articles are always encouraged. Apart from anything, our views on things can (and do, at times) differ from yours, so it is always interesting to hear what you think. Recently I heard again the December 1967 BBC 'Top Gear' session by Pink Floyd, four songs which are now famous as recordings for being the last time Syd Barrett would be captured on tape with the band. It was also the third session the band had done for the BBC that year, having given the BBC versions of Arnold Layne and Candy And A Currant Bun in March, and completed four of the shorter tracks from 'The Piper At The Gates Of Dawn' in September. He was out of the band six weeks after the December session was broadcast, when collectively they chose to not call by for him for the next gig they had to do. This was after they had performed as a five man band for five or six gigs. From the distance of 2015 it seems he failed his audition as part of the five man band and they did not tell him he was being auditioned for being a member of his own band; consequently they did not feel the need to tell him that he had failed the audition - since he did not know he was auditioning for anything! Much later Pink Floyd became famous for not communicating/saying nothing publicly or privately, but still working together to create new work. Syd's departure from the band was gradual and silent, but permanent when it happened. The style of public presentation they later adopted started with the quiet ousting of Syd from the band, where saying less but continuing to work and play live became their default mode of behaviour, internally and externally. Perhaps Syd knew all along that one day the taxi would not collect him for the next gig and time would slow down for him afterwards - and he looked forward to that, knowing that he did not know what the short or long term consequences might be. He was officially 'dropped' from Pink Floyd in April 1968, surely long after it was public fact that he was no longer in the band. The December recordings are surprisingly good, even though they are bass and drum heavy like the good R&B club performances of their contemporaries; the vocals are clear, and overall the songs sound like tidier versions of the live sound they probably had at the time. There are very few tapes of their 1967 live act and it is is hard to tell whether the sound at the gigs was mixed badly - Syd's guitar way up front and the vocals buried - or whether how they sounded merely came from the primitive equipment the bootlegs were recorded on. My feeling about these very low-fi recordings is that they were good recordings of the band but when they did their sound checks one effect of Syd's erratic behaviour or loss of confidence as a performer was to return alone after the sound check and reset the volume on the amps for his guitar and vocals. So, when the band went on stage they had to be even more accustomed to not knowing how they would sound than previous, along with not knowing how Syd would perform. But whatever they sounded like, they kept playing live and battling on with the next post sound check surprise. Perversely, his erratic behaviour on tour toughened them as a unit even though it would lead to his departure. Syd had been showing signs of exhaustion and writers block since the previous July when the band had cancelled a gig on German television's 'Beat Club', two days after Syd had walked out of the recording of a session for 'Saturday Club' on BBC Radio 1, which was promptly cancelled. But the band had work hard all year. How hard? In January they were filmed recording their first version of Interstellar Overdrive, along with recording Nick's Boogie as their first soundtrack work, for 'Tonight Let's All Make Love In London', they had written and recorded four singles, played three BBC radio sessions, performed a handful of television appearances to support Arnold Layne, See Emily Play and Apples And Oranges, recorded a second soundtrack, for 'San Francisco' (another version of Interstellar Overdrive) and Syd had also written material which the band had not found the time to record for the British surrealist film 'The Committee'. This was between recording one full album, with a second album half written/demoed. Add to the above 200 odd gigs and the associated travel that would have gone with every journey and had Syd drunk nothing stronger than half a shandy (a half pint of beer diluted with lemonade for all the young ones out there) then as chief writer, vocalist, guitarist, and leader of the band he would still have been very tired. And as I have found with some of very modest shared ventures I have undertaken, once you cease to lead you have to leave. Many times from the 1980s onwards I heard the band fudge explanations about the period where Pink Floyd came around to doing without Syd. The story of how they did it is clear enough, they did not collect him as they went to their next gig in Southampton. But the back story of Syd being made to tour and play to often unsympathetic provincial audiences often got left out of the picture. Roger Waters in particular was very against any single material released after See Emily Play - as if it did not matter who wrote it - Roger, Rick or Syd, it was all substandard material, because at the time of being interviewed he had an album to promote and wanted to identify himself as an albums artist in his own right. This disapproval clearly included the unscheduled/unreleased single Vegetable Man/Scream Thy Last Scream, both of which were recorded at the 'Top Gear' session. I would be surprised if the band permitted the release of Scream... and Vegetable Man even today, even if their latest record label were to push for these two orphans to find a proper home at last. As it is, cover versions of these two songs are hard to find on YouTube, even though there seem to be quite a few. The audio is blocked. I believe Roger would be the chief proposer for the continued ban on the release. If the two tracks were given legal release then the explanations as to why, and why now, would leave many reading between the lines of it, for more transparent answers than the ones given. Perhaps when Nick Mason clears his attic of early Pink Floyd material and clears all the rights we will get as near a definitive explanation and quality of recordings for these two escapees as we are ever going to get. The versions performed sound like good tracks to play live, but they don't sound in any way like the singles that EMI wanted the band to produce. They were unlikely to garner mass popular airplay, though a rather scary promotional film was made for Scream Thy Last Scream, even though the previous single released in October, Apples and Oranges/Paintbox had failed to chart and Scream... was never released. To make a promo film for a song that was withdrawn perhaps shows how uncertain EMI were with the band. Neither side knew what to do to create songs that would sell. It seems that whilst the songs on 'The Piper At The Gates Of Dawn' were very innocent, bordering on whimsy at times, Syd always chose edgy subjects for singles. Arnold Layne was about a cross dressing thief who stole clothing from washing lines, See Emily Play was said to be "about masturbation" by many with vivid imaginations and even without that weight around it Emily was banned because it was written to promote the live event at the Queen Elizabeth Hall, 'Games For May'. The 'B' sides were no easier on the radio censor either. Candy and a Currant Bun was definitely a drug song even with the lyrics changed. Writing good short songs that made singles worthy of mass radio airplay was clearly far harder work than anyone in EMI or the band ever dared consider at the time, particularly under the stress of touring. Vegetable Man/Scream Thy Last Scream were clear proof of how difficult it could be. Those losses seem minor when set against the achievement that was 'The Piper At The Gates Of Dawn' where EMI and Norman Smith extracted from Syd the most accessible set of songs he would ever write, and got from the band some very effective studio arrangements for supporting Syd's lyrics. It is worth hearing the mono mix of the album (2007 remaster) for the difference in sound between the two versions; the mono mix is much nearer the live sound the band had at the time, with the vocals mixed lower and with more echo on them. We must be able to count on two hands the number of albums from nearly fifty years ago which have never been out of print, and 'Piper' must be among the best selling of those albums, having gone top ten that year, though Love's 'Forever Changes' would give it a good run in both long terms of quantities of sales and quality of music. But for the band and EMI 'that difficult fourth single' was the last straw, the lyrics of Vegetable Man are clearly about feeling out of sorts through the simile of mismatching colours of clothing (an interesting idea given that I believe Syd suffered with synesthesia, seeing colours when hearing sounds) and wanting his drug dealer or whoever, Vegetable Man, to help him feel better. Who knows? It does sound like a not-so-opaque cry for help. The lyrics of Scream... seem quite murky in a different way - about a mother and daughter set to conflict, and again there is a sense of domestic disturbance in the lyrics. If the lyrics had been set to bright and open arrangements with plenty of keyboards they might have got away with it, but instead as songs they were clues that the band was tired and probably close to some sort of burn out. Rick Wright spoke about 'Piper' to promote the 40th anniversary re-release and about how the songs on it were not part of the bands live act at the time, which mostly consisted of more flexible jam oriented material. It would be a curious exercise indeed for any of the present day Pink Floyd tribute acts to use today's technology to imagine and create a proper full live presentation of the whole of 'Piper', the way they do with 'Dark Side' and 'WYWH', with some of the failed singles being played live and the dust kicked out of them too - if that feat could feat be pulled off it would surely be quite a powerful representation of Syd's creativity in the band he gave so much to. The nearest we have had to that was David Gilmour and band (including Rick) playing Arnold Layne and Astronomy Domine on the 2006 tour and the sound was quite dense. The final stroke was David playing Remember A Day in tribute to Rick in autumn 2008. Like Syd, Rick slipped away with the least notice possible. Syd's reaction when the band stopped calling by to collect him for gigs remains unknown. What is known is that Peter Jenner pursued Syd on behalf of EMI within a month of his official departure in April 1968 to get him to start to record a solo album, and Jenner worked long and hard to draw the new songs out from Syd, who in my impression simply did not want to be managed. Both Syd and Peter Jenner were out of their depth in preparing Syd for a solo career. Pink Floyd, who did want to be managed, were also floundering whilst completing Syd's music for 'The Committee' and aping the whimsy of Syd in recording their fourth single It Would Be So Nice/Julia Dream, but they played well enough live and could take the pressure of a tour, which made up for other difficulties. Syd seemed to not want to perform live, nor be prepared for pressure of release schedules which inevitably follow a successful recording. Many times in the 1980s Pink Floyd invoked the figure of Brian Wilson as a pure studio artist to explain what they hoped for with Syd if he was to stay in the band and keep recording. I think all the explanations that were like that were bad camouflage; Brian was purely a studio artist for The Beach Boys for a short while, say 1965-70, but still performed with them live occasionally and he had a high public profile and kept on writing and producing songs for The Beach Boys even though he lost executive control of The Beach Boys recordings from 1967 onwards. Most importantly Brian had 'the wrecking crew', the pool of first rate LA studio musicians who recorded huge amounts of material for all the stars of the day. Syd had nothing like that level of support. It is pure false myth making to compare Syd with Brian, though it is likely that such stories were originally told about the band, not by them. Brian has battled on against the black dogs of drugs, depression, and auditory hallucinations since 1964, and is still fighting them today, and releasing new music that adds lustre to his legend, a legend that now he seems to be in more control of than anyone would have thought possible. Syd's fall as a performer/writer was much nearer being like Peter Green who for years fell prey to self doubt after one too many tours in which he and the rest of Fleetwood Mac took acid, he suffered and they survived. Syd did record, after much trouble and encouragement were taken on his behalf, and there is no doubt that there is a strange spark in those recordings. There is a dry humour in the nonsense-poetry lyrics too. But there is also a raw awkwardness that no amount of support from The Soft Machine and Pink Floyd etc. as his back up bands could ever smooth out without burying the spark in the songs - it is as if Syd did not want to finish the songs any further and everyone was actually frightened by how indifferent and undriven a performer he was, compared with the polished standards of arrangement and performance that everyone assumed he would have wanted, if he was to compete with other artists. They assumed he wanted the recordings to sell in big quantities. With hindsight Syd could be called 'the first low-fi artist', where the simplicity in the presentation of the music simultaneously masks and points toward the emotional complexity of the performance. I am glad Syd stopped when he did; Peter Jenner took it upon himself to get Syd to exercise his talent and had a hard time getting him to do something with it that seemed apt to Jenner as his non-manager and EMI who Syd was under contract to until 1972. The last time Syd was recorded well was a 1971 Radio 1 session for Bob Harris and he sound half desolate, half in fine voice/good humour. For several years after he enjoyed not recording but being known for his former role in Pink Floyd, being backstage at Top of The Pops for instance. His only playing after 1971 is that on the demos from '74 which prove that whatever talent for playing guitar Syd once had had now gone into permanent hiding. The last time he exerted his presence on any recording was when he was roaming around EMI's studios one night and went into the studio where Pink Floyd were trying to record 'Wish You Were Here'. Syd turned up looking wrecked and hugely overweight and spooked them all. He said 'I am here to play my part' which to them seemed to mean 'I am here to play my guitar' though he was woefully under-prepared for that. Actually his part was to personify the sense of absence which each of the band was feeling with each other, but could not articulate because the nature of absence is difficult to express. Normally we call it grief and it unsettles us sufficient to make us inarticulate. For decades the standard recording deal for 'pop' artists was to produce three albums in as many years and a number of stand-alone singles in addition, including a generic Christmas song, and the singles would be neatly rounded up into a fourth 'Greatest Hits' set, after which the band members would go off in separate directions. Syd and Pink Floyd were never going to fit in that mould any more than they fitted anywhere on the bill of the four band package tours that exhausted Syd. Syd and the band set themselves a very different agenda. What Pink Floyd achieved with Syd was to stretch the music that could be got out of the instruments available to them more than their contemporaries did, and they did this by reinventing the recording studio as an instrument. The Beatles were their forerunners but The Beatles made the studio an instrument of their creativity after they stopped touring. Whereas Pink Floyd outran The Beatles in how they toured and used the studios to make music from scratch, in parallel bursts of activity. Also when they played they outran The Beatles in how they made the stage presentation of the music far more important than any individual member. Finally Pink Floyd started their career making soundtrack music, and they continued to make soundtracks for films between proper albums throughout their career, there was a continual symbiosis between their soundtracks and album work. It was because they had created this new template for how to make and play music that Syd could leave and the band still go on, as long as they could write new music using the new methods and tools at their disposal and play it live. With the aid of contemporary technology they reinvented how music was made and played, for other people to follow in their footsteps of if they dare - and very few did actually dare. After Syd left his mark on 'Wish You Were Here' he retreated into painting and playing music by and for himself whilst leading a quiet life with his family. His last active engagement with the music business was to autograph 320 copies of the book 'Psychedelic Renegades' which contained photographs of him taken by Mick Rock for the cover of 'The Madcap Laughs', which appeared in 2001. Mick Rock also autographed the book and the copies with both signatures sold for £300 apiece years ago (but worth significantly more now). 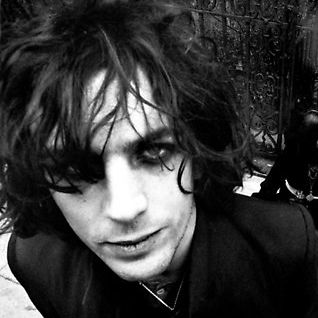 Just as Syd and Pink Floyd made the music more important than who the band members were, so Syd sought a similar anonymity over the years - but for not playing music this time. I wish that far fewer column inches and YouTube comments were given over to mourning how he buried his song writing skills and his extraordinary guitar playing, in favour of abstract painting in private. I paint myself and I was partly inspired to start by how Syd kept his painting skills quiet - paint the canvas, photograph the result, and paint over it, now he had the photo - which was all he needed. He felt happy recycling his canvases. Painting this way got him out of the cycle of fame where selling the pictures through a dealer would have created the pressure and expectation to sell more. He was content to paint and that was enough. I hope he found painting as quietly absorbing as I do, and I am thankful for his example of not needing fame, even though the lack of need was created by one very hectic year making music that was too much for his fragile constitution. I am happy that he made the one album, 'The Piper At The Gates Of Dawn' where everything went right and it still sounds that way - particularly in mono!